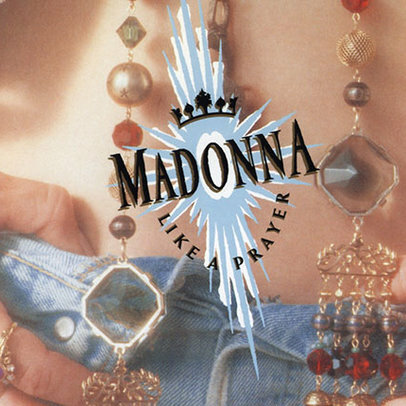 Why I Loved It: In my humble opinion “Like a Prayer” is Madonna’s first authentic album. Hear me out now. Clearly it’s not her first album as she banged out eight before this and was literally the best-selling female artist of the decade well before “Like a Prayer” was released, but critically speaking I feel like Madonna’s prior albums were essentially a couple of hits followed by filler garbage to have enough tracks and make her rabid fans feel like they were getting their money’s worth. “Like a Prayer” was very different, at least for me. Not every single was a hit although four did smash the charts, but every track felt like it meant something. This album was a true collection, completely free of tracks that could easily be tossed away. For that, I consider this her first truly authentic album. “Like a Prayer” is one of my favorite singles of the 80’s. Don’t believe me? It was number 84 on my Favorite Songs of the 80’s countdown earlier this year—I never lie.. I’m not a chick, but “Express Yourself” is a feminist chorale that brings both the pop and the funk. There’s plenty to love about this album from the preeminent female pop star of this and other decades. Commercial Success: Dedicated to her long-deceased mother, Madonna’s ninth studio album was hugely successful commercially, selling more than 15 million copies worldwide. The album reached the top of the Billboard Top 200 and finished 1989 ranked 12th on the year-end Billboard Top 200. The title track “Like a Prayer” sailed to the top of the Billboard Hot 100 as a single and spent three weeks at the top before getting knocked off by Bon Jovi’s “I’ll Be There For You.” Her second single, “Express Yourself” made it to number-two on the Billboard Hot 100 and stayed on the charts for four months. “Cherish” also made it to two on the Billboard Hot 100 and was her Billboard record-setting 16th consecutive single to chart within the top five. “Keep it Together” became the fourth single from the album to hit the Top 10, peaking at number-eight. “Oh Father” got as high as No. 20 on the Billboard Hot 100 before stalling. Fun Facts: From my review of “Like A Prayer” earlier this year: “In characteristic Madonna fashion, the song’s release came with accompanying video that triggered much controversy. It depicts Madonna observing the murder of a white girl by a white supremacist group that gets pinned on a black man. Madonna takes refuge in a church as she finds inspiration to come forward with what she’s seen. The video also shows her kissing a black man (interracial affection in the 80s was fare more rare than youngsters today can understand) as well as dancing directly in front of burning crosses.